Jupiter got a bruise.. only one but a large one. 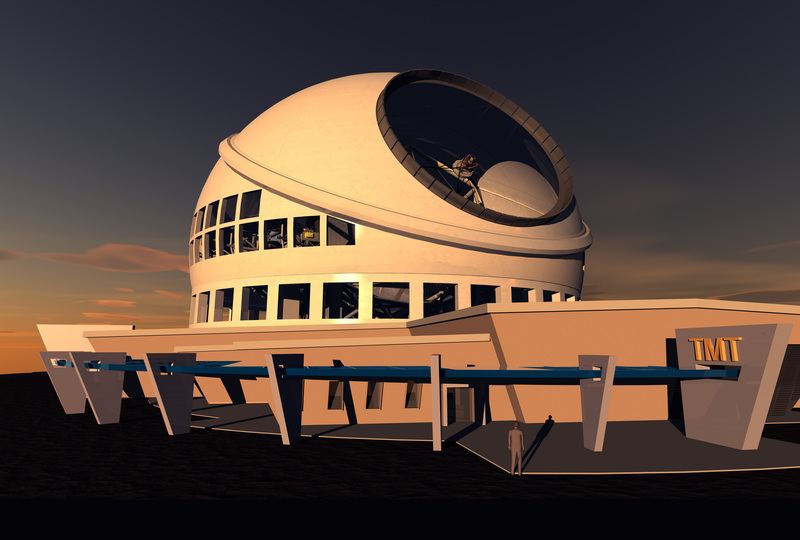 After several years of site testings the consortium in charge of building the TMT (Thirty-Meter Telescope) announced that they have chosen the Mauna Kea as a site for this new facility. This is an important news for the community of astronomers.We were anxiously for this decision to be taken, since it will also mean that the construction of the telescope will be soon initiated. 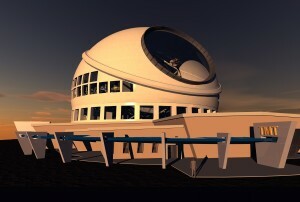 The TMT will most likely be the first member of the future generation of telescope to be built. 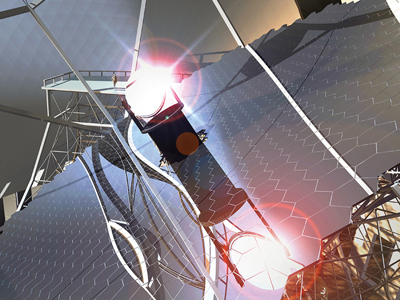 A european group led by ESO is designing the E-ELT (European Extremely Large Telescope) and another consortium of american and australian universities has the Giant-Magellan Telescope (the GMT with an equivalent to a 25 m size telescope) in progress. The E-ELT, a 45m segmented mirror, will be most likely built in Chile. The GMT will be built at Las Campanas, also in Chile. So it is a god news that one these giant telescopes will be in the Northern hemisphere and especially on the top of Mauna Kea, which is most likely the best site of astronomy. The site in particularly adapted for astronomy because of the presence of the Pacific ocean around the mountain which stabilizes the temperature. It is also a very high mountain (4200m see my post) so the atmosphere is dry and more stable than at lower altitude. It is also a site where various other facilities are already built facilitating the construction and maintenance of the new observatory hopefully. I hope the people in Hawaii are happy with this decision, it could be a golden opportunity for them and for the state to get more involved in the science and state-to-the-art technologies. We realize how lucky we are to be able to install our telescopes on the top of the Mauna Kea. The press release announced that the design development phase of the TMT is now finalized and it will start the early construction phase thanks to a $200 million pledge from the Gordon and Betty Moore Foundation. This foundation also funded a large part of the design development of the project. Caltech and University of California agreed to raise 50 M$ each and the Canadian partners propose to supply the enclosure, the telescope structure, and the first light adaptive optics. I have remotely involved in the design development phase of the TMT since I worked in designing science cases for the Adaptive Optics (AO) instruments of this future telescope. Because of its large aperture, this telescope will provide an image quality competitive with space mission. I am attaching below a simulation of Io observes with current AO system, Next Generation of AO at Keck and the TMT AO in the near infrared. The improvement in quality and resolution is striking. 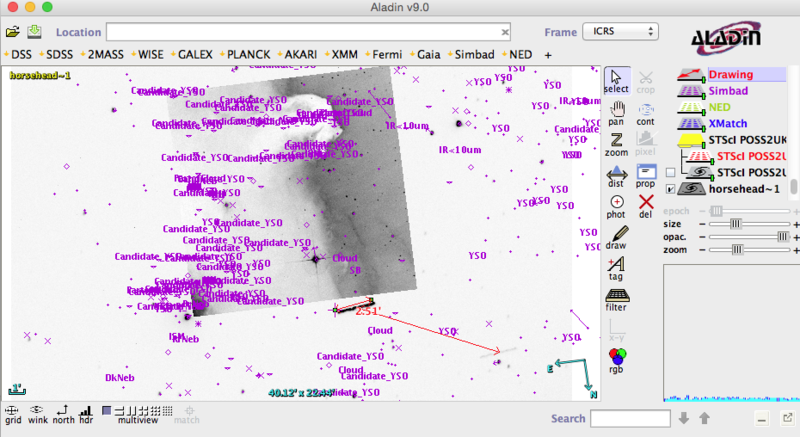 It will be even possible to resolve the largest transneptunian objectx and see details on their surface. 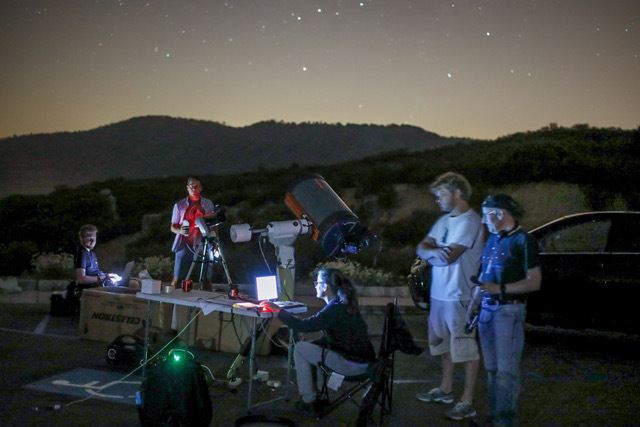 If everything goes on schedule, the telescope will have its first light (with adaptive optics) in 2018… Only in 9 years, so be ready to see spectacular images and new discoveries by then. I am added a few images of the telescope and the dome design. You can also find them on the TMT web site. 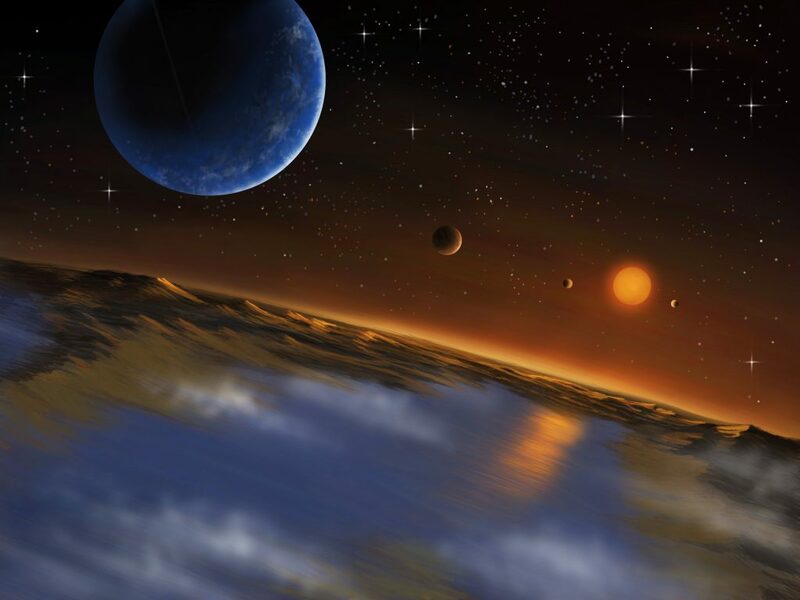 Detailed artist conception of the tertiary mirror. In the back the 30m segmented primary mirror made of 492 hexagonal segments.